As the mercury rises to 50 deg C (122 deg F) in parts of India and Pakistan the whole area is witnessing extremes in every way at the moment, this week nearly 200 people died from the heat in Pakistan. Heat wave continues to prevail in the national capital, with the maximum temperature settling at 45.2 degrees Celsius, five notches above the normal. The weather office said the maximum temperature recorded at the Palam Observatory was 45.2 degrees C.
However, the Safdarjung observatory recorded a maximum temperature of 43 degrees C, three notches above the season's average. Earlier in the day, India Meteorological Department (IMD) issued a fresh alert of heatwave conditions in different states, including Delhi, Haryana, Chandigarh, Punjab, Uttar Pradesh and Bihar. According to the Met department, heat wave conditions will occur in many parts of Delhi. The Met Department has forecast partly cloudy sky with dust storm or thunderstorm, in Delhi on Thursday. The maximum and minimum temperatures are likely to be around 42 and 26 degrees Celsius respectively. On Tuesday, Delhi recorded its hottest day of the season so far with the maximum temperature shooting up to 46 degrees C, six degrees above the normal at the Palam Observatory. Six people have been killed in flash floods caused by incessant rain in Tripura over the last four days, The Hindu reported on Monday. At least 13,000 have been rendered homeless. Several areas of Gomati, Khowai, Sipahijala and West Tripura districts are waterlogged. More than 50 relief camps have been set up, reported India Today, adding that the administration has directed many schools to remain shut. All major rivers are flowing above the danger mark. "Due to incessant rain last night in Sadar and Jirania and several wards of Agartala, the Haora river is flowing above the danger level and the affected people along the river banks have been shifted to 16 relief camps, where 670 families are living," Sandip Mahate, the district magistrate of West Tripura, told NDTV on Sunday. In the last 24 hours, Agartala has received 27 mm of rainfall. The meteorological department has warned of more rain over the next two days. 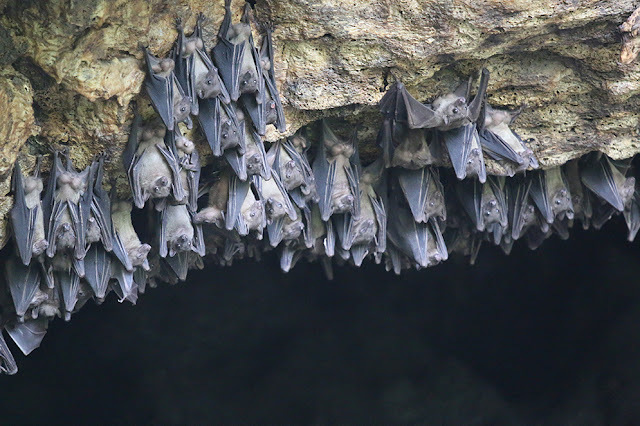 A deadly virus carried by fruit bats has killed at least 10 people in southern India and more than 90 people are in quarantine, a top health official said on Tuesday. "We sent 18 samples for testing. Out of this 12 tested positive. Ten of those who tested positive have died and the remaining two are undergoing treatment," said a health official in Kozhikode district of Kerala state. Nine people have been admitted to hospital with symptoms resembling the virus, which the World Health Organisation says is fatal in 70 percent of cases, said Kerala state health surveillance officer K.J. Reena. The WHO has named Nipah as one of the eight priority diseases that could cause an epidemic, along with Ebola and Zika. The virus produces flu-like symptoms that lead to an agonising encephalitis and coma. "Health staff are visiting individual households giving them specific instructions including about eating fruits from outside and other precautions," he said. The neighbouring state of Tamil Nadu has stepped up surveillance in border districts fearing the spread of Nipah. Nipah was first identified in Malaysia in 1998. It spread to Singapore and more than 100 people were killed in both places. On that occasion, pigs were the virus hosts but they are believed to have caught it from bats.